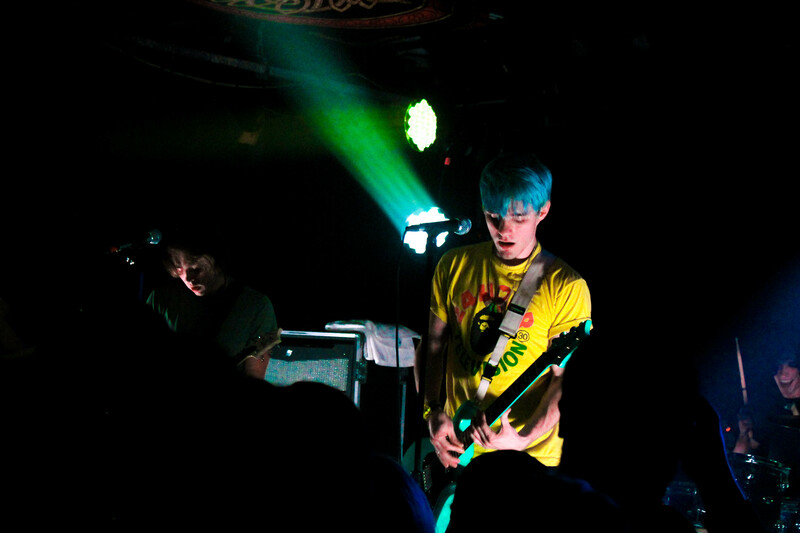 Packed into the tiny Black Box at Underground Arts on Wednesday were a wide variety of people, all joined together to see pop-punk band Waterparks on their first U.S. tour. From older men starting circle pits and crowdsurfing to young middle school aged girls who looked and acted like they belonged more at a One Direction concert than a pop-punk band’s show (I can only compare the screams that I heard to that of the last One Direction show I attended), I was surprised by the wide appeal of the band to so many demographics. The Houston natives shot out onto stage with tons of energy, their screams of “hello” barely audible over the screaming from the crowd. Shooting straight into “Made in America” off of their newest album Double Dare, the crowd was singing and dancing along, even opening up a pit on the very first song of the set. Their more recent songs were met with a very strong reaction, given that the album has been out since November, but their old songs still were equally as recognizable as audience members screamed along, especially during “Crave,” one of their biggest songs. 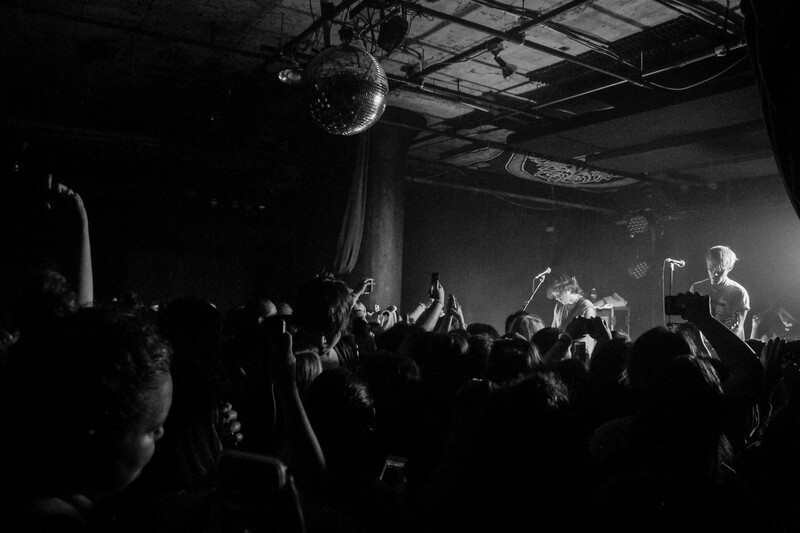 The band, comprised of lead singer Awsten Knight, guitarist Geoff Wigington, and drummer Otto Wood, kept the crowd entertained throughout the entire set, keeping everyone jumping and chock-full of energy in the hot room. One of my personal favorite moments of the night was when a girl, who was clearly injured, crowdsurfed while holding her crutches, getting hugs and props from the entire band once she reached the stage. 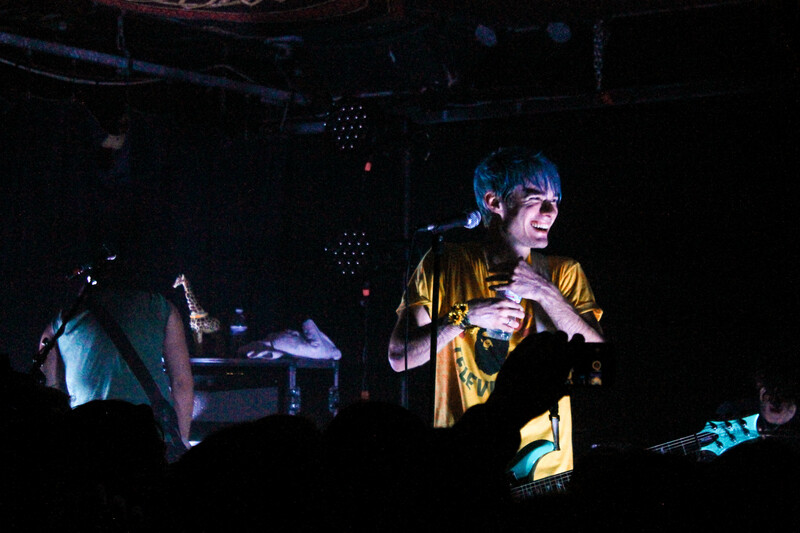 For anyone who has seen Waterparks before (this was my fourth time), they would know that the show would not be complete without Knight’s constant jokes in between songs. The comedy act that he puts on is always entertaining, between having conversations with specific audience members, joking that he would get a fan who through their phone on stage in trouble, and pulling up a security guard to have a conversation. The entertainment that Knight provides is a Waterparks trademark, and makes their sets that much more enjoyable. While most of Waterparks’ music is fairly loud and more aggressive, one of the more toned back moments of the set came during “21 Questions,” a personal favorite of mine off Double Dare. Just like the recorded track, Knight sang alone with his guitar for the first half of the song, coming to a strong build during the bridge before Wigington and Wood came back on stage to kick the guitar and the drums back in. Similar to a call and response, Knight sang, “I want you all to myself this time,” then the crowd screamed back “t-t-time” unprompted to finish the lyric. Waterparks gave an incredibly strong set and continue to grow every time I see them perform, from Warped Tour, to opening for Sleeping with Sirens, and beyond. Be sure to catch them on their current headlining tour, or opening for All Time Low this summer.